Yuanlai Education has established partnership with many overseas filmmaking agencies in Australia, Germany, Canada, UK, USA, etc. Since 1980s, these filmmaking agencies have produced a large number of fine scientific and educational video programs with their own distinguishing features. BBC Active's great range of resources, offer the very best titles from the BBC , to bring learning to your whole life. It offers thousands of BBC programmes for children and adults which can be used as educational resources to enrich your next lecture, tutorial, festival screening or workshop. Enjoy the BBC traing and education videos online. 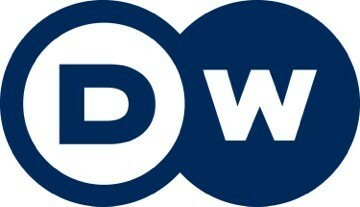 Deutsche Welle or DW , is Germany's international broadcaster. It broadcasts news and information on shortwave, Internet and satellite radio in 30 languages ( DW-Radio ) . It has a satellite television service ( DW-TV ) that is available in four languages, and there is also an online news site. Deutsche Welle has broadcasted regularly since 1953. It has produced a large quantity of fine video programs covering a wide range of subjects. Discovery Channel Canada is Canada's top-rated network for viewer satisfaction . Its entertaining and award-winning programs explore the fascinating worlds of nature , science and technology , and adventure. As a producer and broadcaster of documentary programming, Discovery Channel Canada is internationally recognized for innovation and quality in all areas of the broadcast industry. 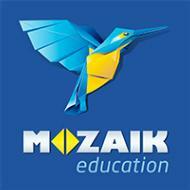 MOZAIK Education Ltd. is the largest textbook publishing company in Hungary , producing educational material up to the highest European standards. Since the foundation of the company over twenty years ago, MOZAIK Education Ltd. has created series of textbooks for virtually every school subject. Supplementary digital materials are also created to use with the textbooks, including interactive 3Ds, audios, videos, images, etc. ClickView--Making video learning easy With different mobile devices, learning platforms and billions of videos available on sharing websites, getting the right video in front of your students can be challenging. At ClickView it has been focusing on one simple idea: making it easy for teachers to find and share curriculum-relevant videos with their students.The BYOD-friendly video platform combined with its Curriculum Libraries will help your school embrace video learning. Originally established in 1995, Octapixx Worldwide has grown into a multi-dimensional company. Octapixx is located in Toronto, Canada. Seizing opportunities created by the rapidly changing television landscape, Octapixx has a diversified catalogue covering many areas of programming including feature films , MOW's , travel , children's, animation , sports , educational and other documentaries. As a result, Octapixx now has one of the largest and most diverse catalogues of television programming and is a leader in the international distribution of high-quality programming. Classroom Video is the leading producer of Australian-made, curriculum fit educational video resources for primary schools, secondary schools and TAFE institutions . For over 25 years , Classroom Video has been creating dynamic , engaging educational resources that enhance the learning experience of students in classrooms across Australia and New Zealand. Classroom Video has around 1,000 Educational DVD titles covering a wide range of subjects and is suitable for most age levels. Distribution Access is Canada's leading provider of the world's best educational video programs and multimedia content. With a library of over 15,000 titles , Distribution Access serves over 16,000 Canadian educational institutions – elementary, secondary , post-secondary , libraries – Canadian learners of all ages in their homes and educational and broadcasting organizations around the world. Visual Education Centre or VEC is Canada's leading supplier of audio and video educational resources. For over forty years VEC has been improving educational efficiency in many fields by providing cost-effective audio-visual programs in English and French , produced to the highest professional standards. VEC provides institutions with multimedia resources in the areas of : science , mathematics , language arts , literature , social studies , health , guidance , medicine , classroom management, teamwork, professional development, as well as many other subject areas. The Open University or OU, the leading provider of distance learning, is a government-supported university in UK notable for having an open entry policy , i.e. students' previous academic achievements are not taken into account for entry to most undergraduate courses. With its world-leading blend of supported open learning and innovative course materials, students will get an exceptional learning experience in the Open University. The videos produced by OU and BBC cooperatively are highly practical for use, covering a variety of subjects such as arts and humanities, business and management, engineering and technology, etc. Schlessinger Media is the award-winning programming division of Library Video Company. Founded in 1990, Schlessinger Media distributes a library of over 1,000 originally - produced and licensed educational videos . All Schlessinger Media programming is created to support and enhance nationwide curricula with an emphasis on science, social studies, language arts, math and health.